Do you know Jesus was kind to us even when we were God’s enemies? But even though we were God’s enemy, and left to die because of our sin, Jesus still came to die for us. He was kind to us — He cleaned us with His blood, He lifted us and took care of us, He paid the price of our sins for us. 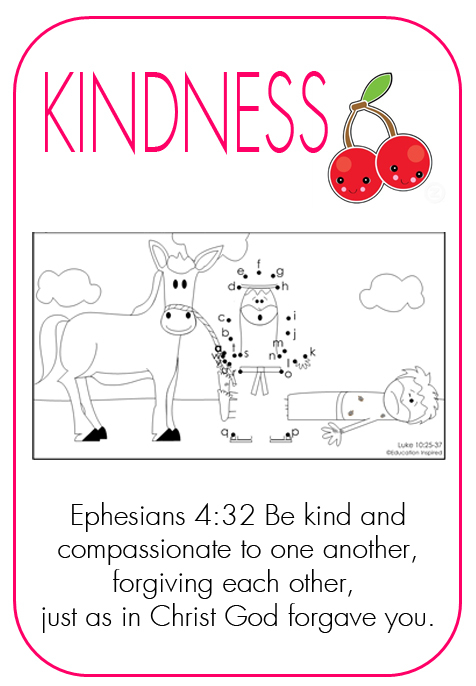 Jesus showed us kindness when He died on the cross for us to save us from our sin and death. Jesus forgave us and showed us kindness when we were His enemies. Today, we have Jesus in our lives, so we can show kindness to others — our family, our friends, strangers and yes, even our enemies!